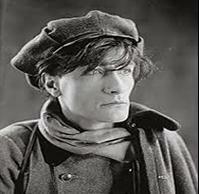 “I, Antonin Artaud, born in Marseille the 4th of September 1896, fifty years old, five or six poetry books author, cinema player and director… I have lost every control over my life, my body, interned and constrained in a mental hospital for 9 years long, a mere thing in the hands of authority, subdued to cruel and alienating laws that got me forever different”. “What is needed, in the end? but you have to try. “Take all that it is offered to you and don’t try to look or penetrate in what it was not offered to you. I’ll find what is to be done in the absolute, past will teach me nothing.